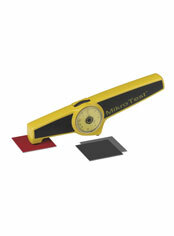 The MikroTest is the most widely used coating thickness gauge in the world over the last 40 years. 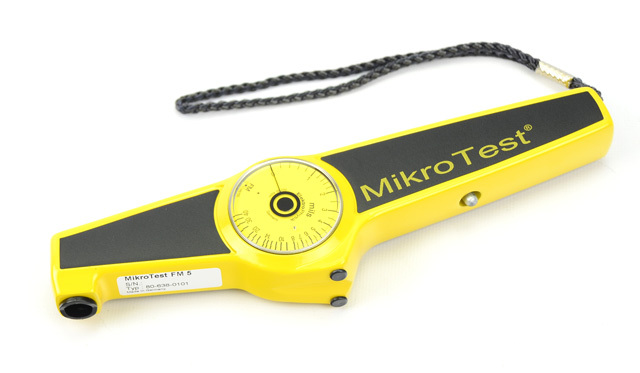 The MikroTest complies with the highest technical standards of all analogue magnetic coating thickness gauges. 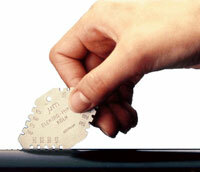 This magnetic coating thickness gauge works on the magnetic attraction principle to measure all non-magnetic coatings on steel and galvanic nickel on steel. The measurement of the coating thickness is based on magnetic attraction. The attractive force is related to the distance between a permanent magnet and a steel substrate. This distance represents the thickness of the coating under measure. The magnet is lifted from the surface by means of a spring connected to the magnet arm. The force needed to lift the magnet is directly related to the angle of rotation of the torsion spring. This measuring principle is also especially suited for electroplated nickel on copper, aluminum and other non-ferrous metals. This measurement principle ensures fully automatic measurement where no power supply or calibration is required. An Optional High Temperature Kit is offered (MK-HT) for using MikroTest models on surface temperatures up to 212°F (100°C). 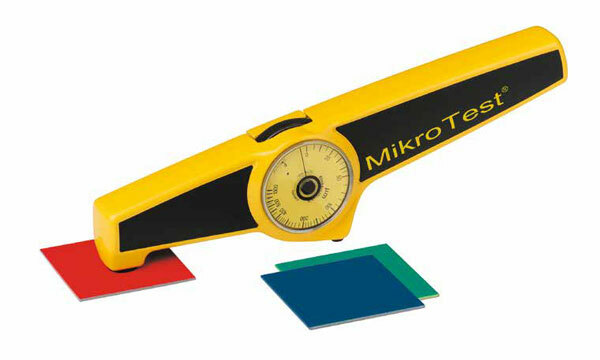 It can also be used on surface temperatures up to 572°F (300°C), but the MikroTest must be limited to less than 5 seconds of surface contact or damage will result. 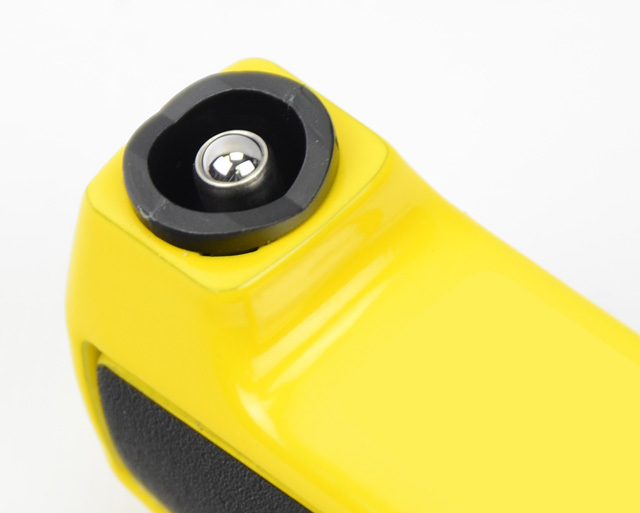 The MK-HT Kit consists of aluminum feet and sensor prism. 2. 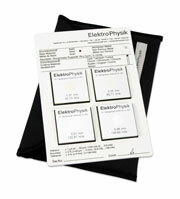 The Plastic Shims/Foils have a certain electrostatic charge which also causes inaccurate readings.